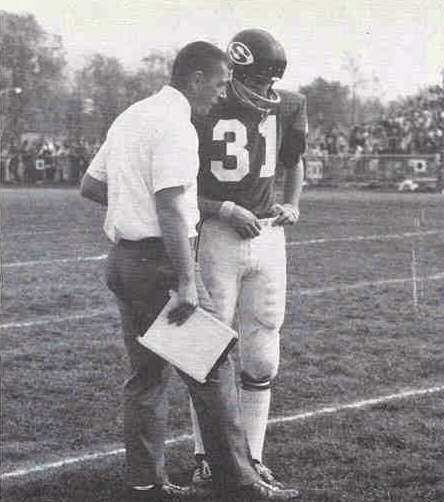 Coach Freyman talks over strategy with his quarterback, Buzzie Sylvester (31), during the North Game. 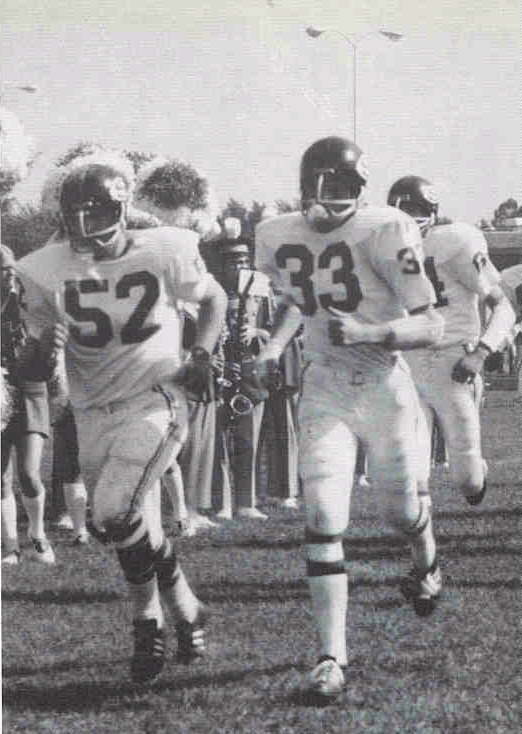 Co-Captains Ken Caddick (52) and Jeff Biel (33) lead the Rebels onto another victory. 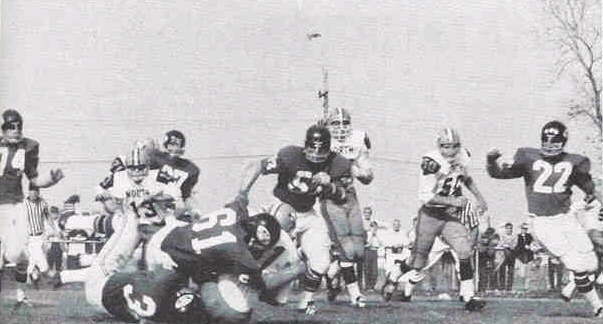 Mark Wojciehowski (36) and Doug Harris (61) combine to nail the Meteor ball carrier for no gain. 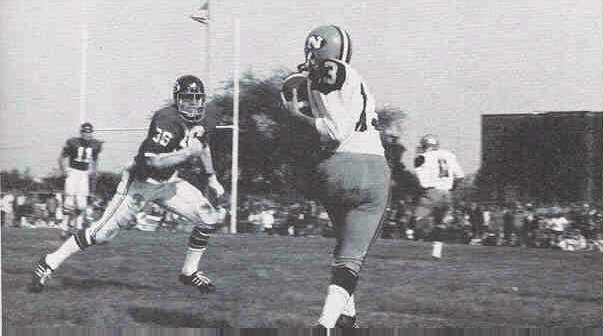 All Conference Linebacker, Mark Wojciehowski (36), sizes up the North receiver for the kill. 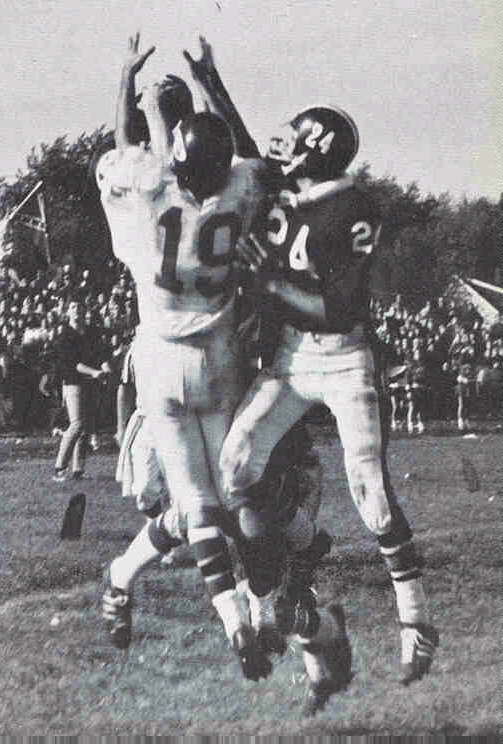 Junior Ted Miles (19) goes all out to break up a Stagg pass during Homecoming.